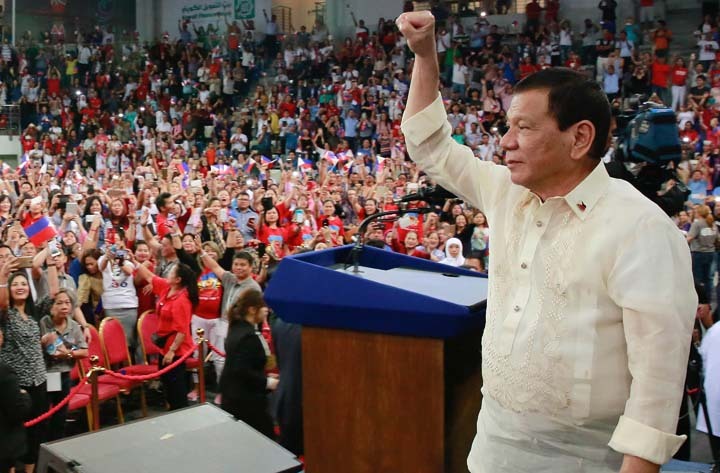 Home / Opinion / Daughter of former Associate Justice to Duterte: "A President that comes but once in our lifetime"
Daughter of former Associate Justice to Duterte: "A President that comes but once in our lifetime"
The mainstream media can no longer fool us. 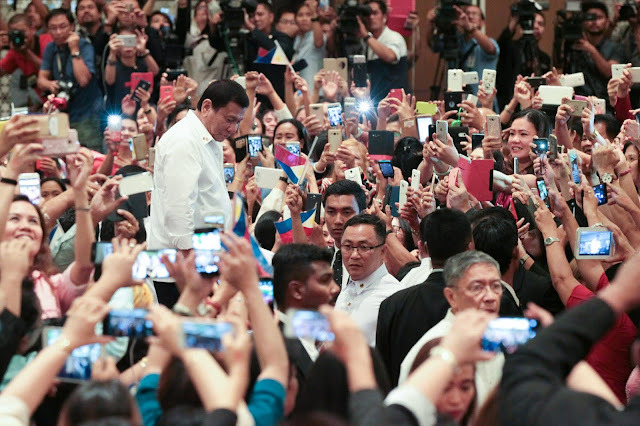 For Presidential Communication Operations Office (PCOO) Undersecretary Lorraine Badoy, surveys speak volume about the public trust in President Rodrigo Duterte’s term which dispels the illusion of discontent and dismay being spread by mainstream media. 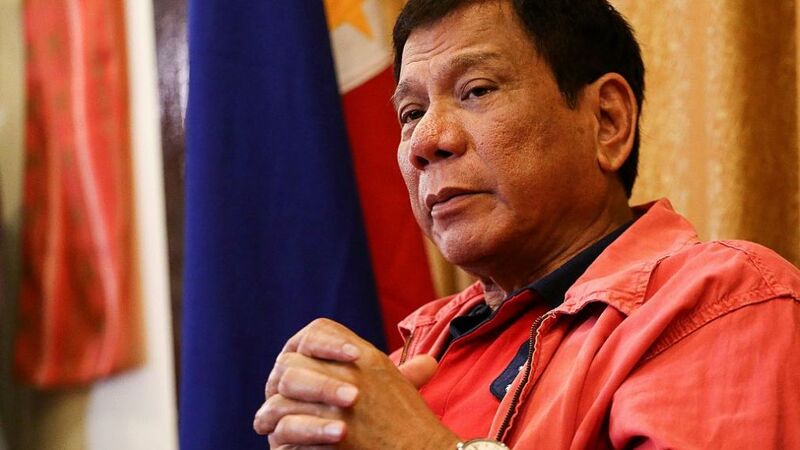 “I think what it says about us now is that we are waking up to the excesses and shameless rot inside mainstream media that relentlessly portrays the President as brutal--murderous even-- dictatorial, uncaring,” Badoy wrote in a Facebook post. The Communication Undersecretary pointed out that while traditional media focuses on negative news about the President, the people have shown 88% approval and 87% trust as seen in the recent Pulse Survey. The President shines through with his genuine service to the Filipino people, and Badoy opines that the public finally trusts itself enough to make this assessment instead of relying on the manufactured information flashed on screen. Badoy acknowledged the minor inconveniences caused by the big changes coming into the nation, but she remains excited and hopeful for the future that after all the Build, Build, Build projects and taxes come to fruition, it will be a “beautiful country”. She noted how the recent Pulse Survey showed that of those who approve of and trust the President, 91% of them are millennials, followed by those ages 65 and up. “It’s like the millennials—who are constantly online—took a look at the constant bickering of their moms and dads online and said, “Meh.” Then made up their own minds,” Badoy comments. While critics have been busy parading “No to Martial Law” in supposed representation of a collective sentiment in Mindanao, the surveys have dispelled this illusion once more because the Pulse Survey further showed that 99% of Mindanao approve of and trust the President. Badoy retorted the Martial Law critics by saying that Mindanao, the very place where this law is enforced, trusts the President enough and knows he is not a “power-hungry dictator” that the mainstream media and dissenters make him out to be. If there’s anything that the surveys show the Filipinos that mainstream media does not, it’s that the country is “solid and united”, as Badoy describes it. Pulse Survey results came out days ago and I still can’t get over it. I’ve been mulling these numbers, wondering what stories they tell about us as a people and where we are in our consciousness right now. Because I’ve often despaired about how little it took to make us think one way or another. Where the only thing we needed to vote someone into office was NAME recall. That was how far our brain cells and consciousness took us. Our realities were totally defined by how Others defined it for us. So if ABS CBN said CJ Corona was a corrupt plunderer, that was EXACTLY what we thought. And if it showed the Ateneans, Noynoy Aquino, Mar Roxas, looking and sounding so respectable and dignified, spiffy in their Dockers and impeccable in their language and dignified looking in their Barong Tagalog and black pants and shiny leather shoes—why, that was what we thought exactly of them. That they were respectable, dignified, impeccable. Men of Honor. Not the incompetent indifferent Men of Horror they turned out to be. So I’ve been turning these numbers of PRRD over and over in my mind—88% approval, 87% TRUST. I haven’t done my research yet but I’d venture to guess that no other president—here and anywhere—enjoyed numbers like these. And that indeed Rodrigo Roa Duterte must be the envy of leaders in the known democratic world right now. Sure, there is the SWS Survey that had a huge discrepancy from Pulse’s 88/87. And still those were good numbers. Nothing to get worried about. Something to clap about even. But 88/87 is what interests me right now. I think what it says about us now is that we are waking up to the excesses and shameless rot inside mainstream media that relentlessly portrays the President as brutal--murderous even-- dictatorial, uncaring. This is not how we have experienced our President. Not how we see him. We feel his sincerity. We see his exemplary effectiveness as Chief Executive. And for once, we are trusting ourselves—our own minds, our own instincts-- in how we measure this man. DESPITE the inconveniences: traffic caused by Build Build Build projects all over the country. Despite some of us paying higher taxes (my husband, for instance, pays sky high taxes and still I have not seen him happier). I put one and one together and I think that like a couple remodeling their home, we take the inconveniences and the added costs and are excited for the beautiful country we are rebuilding. And we can’t wait to see it and usher our children into this beautiful home of our dreams. That 88% also tells me that it isn’t true that we are divided. We are, in fact, solid and united. I love that when desegrated into age, the President gets his highest trust and approval ratings from the millennials--91%!-- (and too, from the 65 and up bracket). It’s like the millennials—who are constantly online—took a look at the constant bickering of their moms and dads online and said, “Meh.” Then made up their own minds. I see it with my own children: how this generation likes making up their own minds. Here’s the truth staring you in your arrogant, know-it-all faces: the People of Mindanao LOVE it that there’s Martial Law there right now. You know why? They trust this President. And it is a trust founded on having walked many many miles with this man. He is not the power-hungry dictator you make him out to be. But someone who has earned the trust of this war-torn, grief-stricken region and who speaks for them when he talks about finding the peace that’s eluded them all these years. So really, if you don’t live in Mindanao, shut your traps. “Nothing about us without us.”, remember? That’s BASIC. Let’s stick to the basics. Don’t be that walang modo interfering with realities you know NOTHING about and that are not your own. And you know all this noise that continually paints a grim picture of the President and our country? Turns out it is MANUFACTURED noise. But the Filipino people have said no to it and have instead linked arms with each other and around this President. Because let me tell you something you might not know: this President’s strongest defense is YOU. Specifically, YOUR trust and approval. He defends, protects and fights for you. And you protect him from those who’d like to take away from us a President we have given our resounding Trust and Approval to. A President that comes but once in our lifetime. The Filipino see him clearly. They see his heart, his mind, his soul. And they give him their deafening TRUST and APPROVAL.